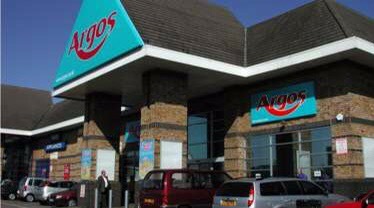 Home Retail Group has received a £1.4bn rival bid for Argos after supermarket Sainsbury’s offered £1.3bn for the company. The second takeover offer has come from South African retailer Steinhoff, which offered 175p per share. Sainsbury’s has until 23 February to make a firm offer for Argos. Home Retail Group said the board was reviewing the Steinhoff proposal and it would make a further announcement soon. Sainsbury’s second offer for Home Retail Group came after an offer of £1bn was rejected. Steinhoff, which owns the furniture chain Harvey’s in the UK, makes most of its products in developing countries, and sells its furniture across Europe. The South African retailer said its offer would not disrupt the sale of Homebase, which Home Retail Group is in the process of selling to Australian retail company Wesfarmers. The firm plans to bring its Bunnings chain to the UK. Sainsbury’s, like other UK supermarkets, has faced intense competition from discount retailers such as Aldi and Lidl. Chief executive Mike Coupe said if the takeover went ahead the combination of the two companies would create the UK’s “food and non-food retailer of choice”, with 2,000 stores. The tie-up would create the UK’s largest general merchandise retail business. Mr Coupe said that the merger would bring savings in the region of £120m – half of which would come from putting Argos stores into Sainsbury’s supermarkets. Meanwhile Steinhoff has until the 18th March to make a firm offer. Posted on February 20, 2016, in #retail, #southafrica, #uk, Other. Bookmark the permalink. Leave a comment.